These easy appetizer party ideas that let you enjoy your own party are delicious but simple to put together. One of the things I love most about this time of year, other than the cooler weather, of course, are all the holiday parties and sports get-togethers. I especially enjoy having appetizer parties because small bites are always fun and they’re super easy to eat and carry around while you talk with your family and friends. However, creating several appetizers can be so time-consuming that you feel like sneaking off for a nap and hope your guests think you’re just still in the kitchen. That’s why I’m sharing some of my favorite easy appetizer party ideas today. When I first started cooking for others back in my teens I took a lot of pride in making just about everything from scratch. In fact, I thought for it to be true entertaining you had to make everything from scratch. Fast forward to serious adulting with a demanding job, expanding pet family (I have to take a moment to give respect to all parents as I don’t know how I’d possibly get anything more done with human kids), and trying to somehow find time for things like fun and sleep. I just don’t have time to make everything from scratch. Thankfully there are a lot of wonderful products out there that will save you a LOT of time so you can actually have parties to catch up with your friends and mingle with your guests. 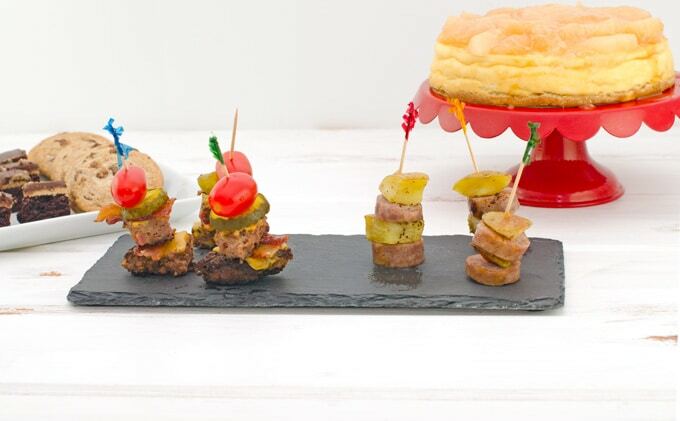 Today I’m using some of America’s Choice® Creations available exclusively from Save-A-Lot for some easy party appetizer inspiration. Using premade (or at least pre put together) products like these saves so much time and even my pretty picky on quality foods self has to admit they taste pretty darn good, too. It’s so nice to be able to find high-quality products at low prices at Save-A-Lot. To take it to the next level and add a bit of your own style all you have to do is to add a few fresh ingredients and make it pretty. 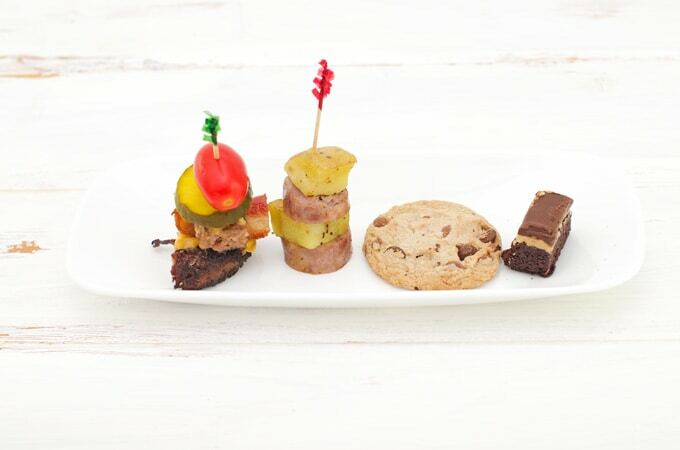 Here are the easy party appetizers I put together. 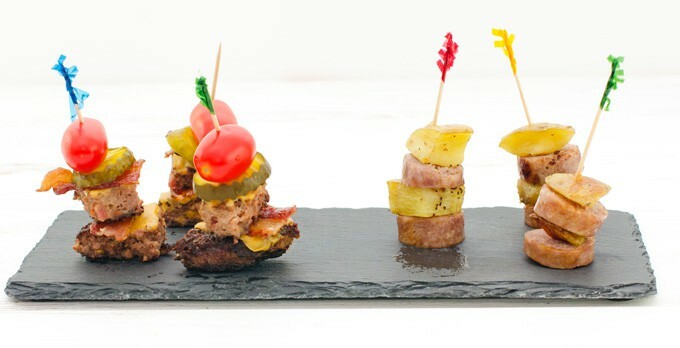 Burger Bites – Cook the Black Angus Bacon & Cheddar Burgers until done. Cut into bite-sized pieces. Make a toppings bar or load toppings onto easy to grab toothpicks like toasted burger bun “croutons”, pickle slices, onion slices, cherry tomatoes, bacon, and/or cheese. Place the burger piece on the bottom so you have a flat base to put on a plate for serving. I like serving these with a dipping sauce of ketchup and mayo mixed together. Salmon Bites – Cook Honey Bourbon Salmon until flaky. Take softened creamed cheese and mix together with lemon juice (adding zest is great too), sliced green onions or dill, salt, and pepper. Smear a bit of the creamed cheese mixture onto a cracker or cucumber slice and top with a small chunk of salmon and more green onion or dill, if desired. Ready to serve! Brat Bites – I like to roast the brats in the oven so I can also roast some potato chunks to go with them. Tip: Microwave the potato chunks for just a few minutes in a bowl covered with plastic wrap to be sure they’re cooked through. Once cooked, slice brats into bite-size pieces. Place Octoberfest brats with a slice of potato on a toothpick. Harvest apple brats pair well with a chunk of apple (brushed with lemon juice so it doesn’t turn brown). Cheesecake Bites – So easy, yet impressive. Top with seasonal-friendly ingredients like apple pie filling and salted caramel sauce for fall or fresh berries for summer and cut into bite-sized pieces for serving. 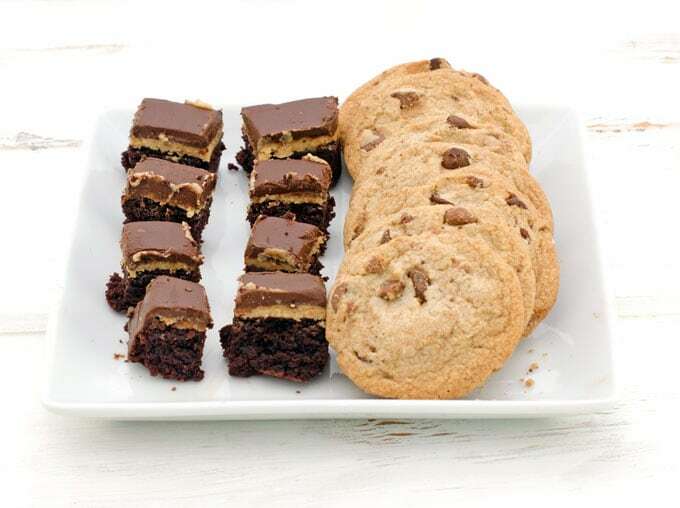 Other Dessert Favorites – Some desserts like brownies and cookies don’t even need to be dressed up. Just cut into bite-sized pieces and pile onto a plate! If you really want to make them extra special you can make cookie sandwiches with a whipped cream or caramel filling, or just sprinkle some candy pieces on top. 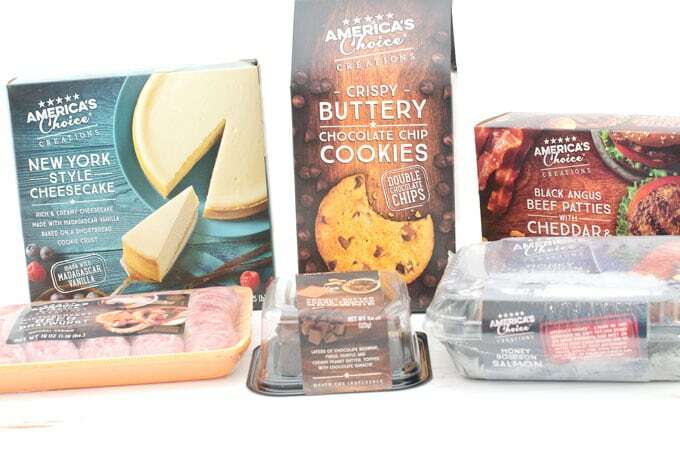 Overall, I was so impressed with everything I tried in the America’s Choice® Creations line, even the salmon. Not only was everything easy to make and super tasty, but I was able to purchase all of these products plus a few extra ingredients to make them my own for under $50 and easily had enough stuff to make appetizer bites for 10+ people. Plus, they’re classic flavors that everyone of all ages loves. Find the closest Save-A-Lot store near you: https://goo.gl/aPMVZP. Thanks to the generosity of Save-A-Lot, one lucky Smart Savvy Living reader will win a $25 Save-A-Lot gift card. To enter to win you must be 18+ and a legal resident of the 50 United States + DC. Please complete your entries via the Rafflecopter widget below where you can also find the full rules. The giveaway how now concluded. 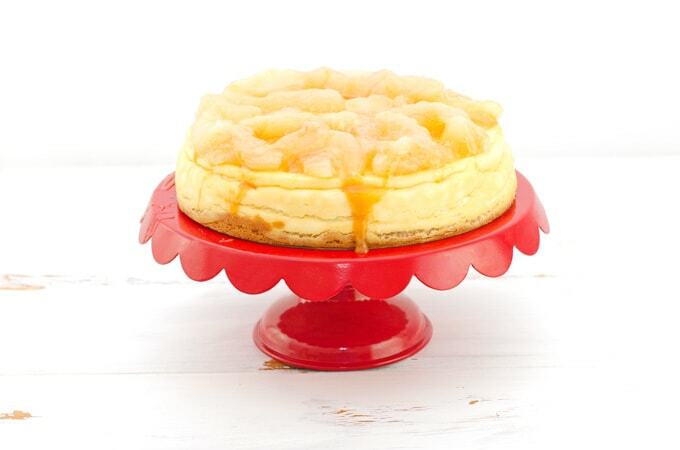 Congrats to our winner Tammy D.
I want to try the Americas Creation New York Style Cheesecake! I would love to try the Cheesecake! It sounds great! I would be most interested in trying the Cheesecake Bites first, because I love the friendly ingredients like apple pie filling and salted caramel sauce a lot. I would like to try the New York Style Cheesecake first. I’d love to try the Harvest Apple Brats first. They sound delicious! I would like to try the Cheesecake Bites for sure. They sound tasty! I would love to try the Cheesecake bites! I love cheesecake! I would love to try the cheesecake. It would be perfect for this time of the year. I also like to get things like the plain cheese cake so that you can add your own toppings and dress it up a little. I mean that does qualify as semi home made right??? I now have a craving for the cheesecake. The honey bourbon chicken and the bacon mac and cheese would make a great meal that the kids and I would both like. Sometimes it is so hard to put a meal together with all the running around the kids have me doing. 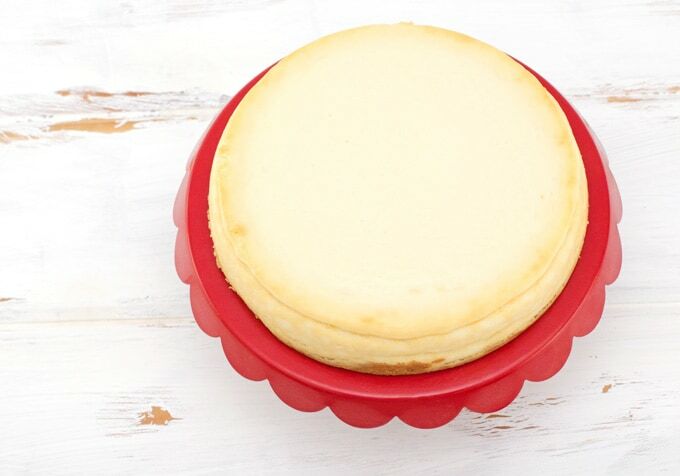 I want to try the New York Style cheesecake! !